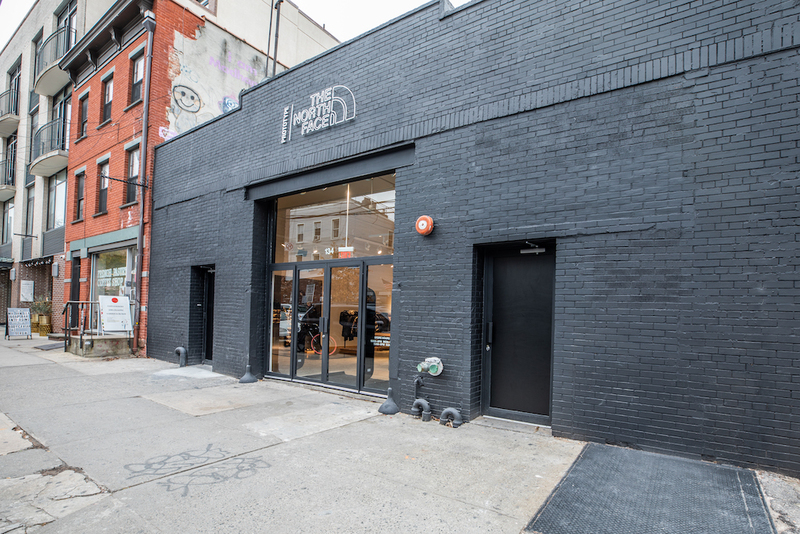 Outerwear brand The North Face opens the brand’s prototype location at 134 N 6th St on Friday, offering a selection of lifestyle items and collections exclusive to the Williamsburg space. The Black Series velvet collection contains waterproof, crushed velvet pieces (which, how?! ); the Kazuki black series is a collaboration with Japanese designer Kazuki Kuraishi, incorporating Japanese streetwear with classic, clean lines and durable materials; the metallic Christmas collection (for this year only) can be found right at the entrance of the store. 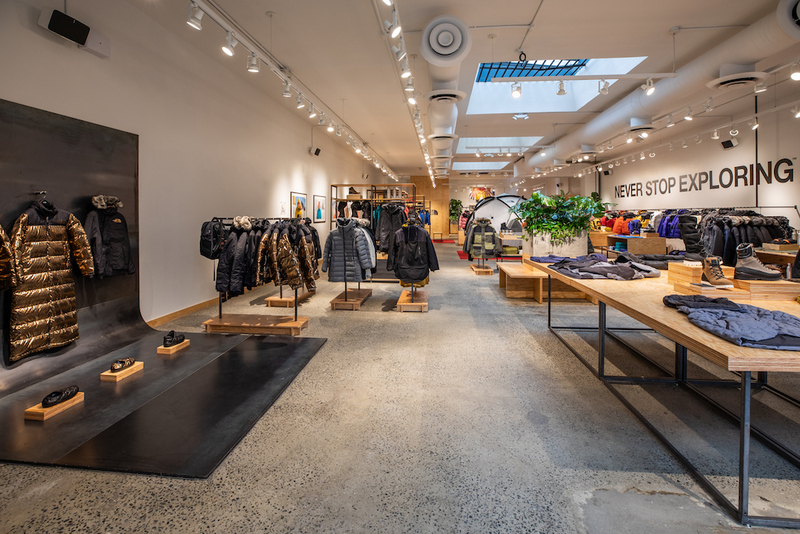 As Tim Sedo and Mark Parker shared their vision for both the store and the collections during a recent preview, they consistently returned to the notion of community. They’ve acquired the outdoor space next door, Sedo says, to host block parties and other events, and the indoor area can quickly convert to an event space as well. 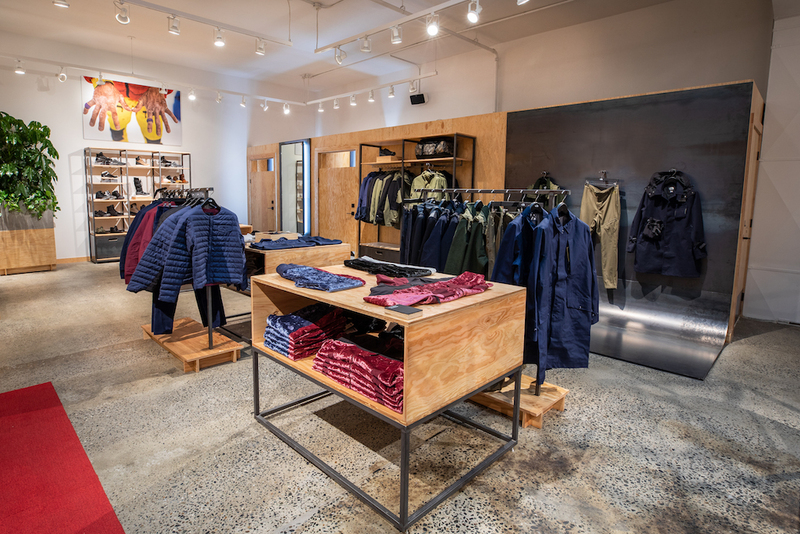 There are collections that pay homage to the North Face coats of vintage times (read: the ’80s and ’90s), with jackets and vests in colors that Parker says are iconic for the brand. 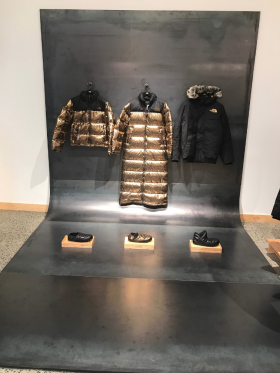 There’s also state-of-the-art outerwear designed with partner athletes who took a two-week trip to Antarctica. Across from the collection specifically designed to endure colder temperatures, there are photos of athletes who were vital in the development of this Summit Series–some renowned, like Conrad Anker, and some up-and-coming, like Anna Pfaff. It’s all well and good, but it remains to be seen whether the puffy coat compete with the camel coat. The North Face should sell a candle that smells like Yosemite National Park with a portion of the proceeds going to protect parks and forests. I love earthy home scents and would buy it in an instant.